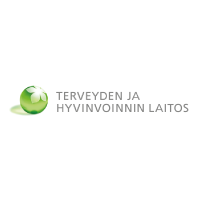 This year, over 50 000 euros worth of prizes are given in the Open Finland Challenge, with over 20 000 in the national awards. 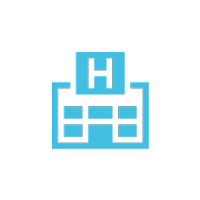 Participants can get awarded in the regional competitions, our partner competitions (Helsinki City App Hack, Ultra Hack) and make agreements with our partners, about continuing development or piloting of the entries. 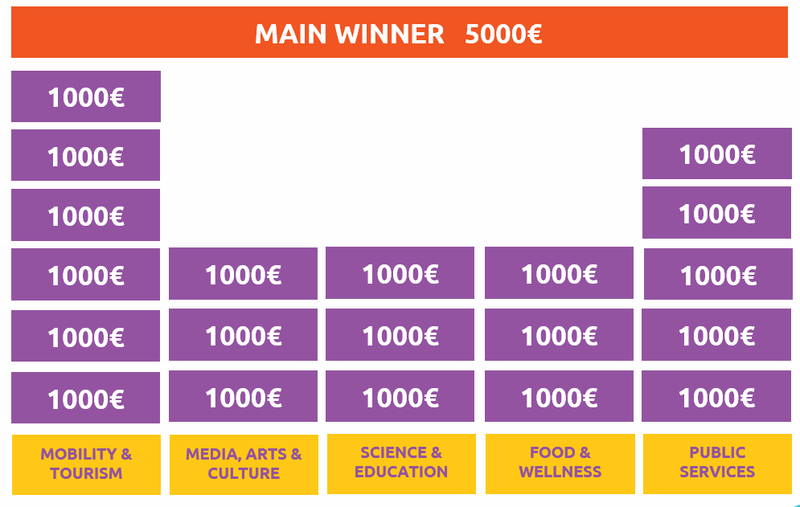 In each category, 1000€ prizes are awarded for some of the best works. In addition, a 5000€ main prize will be awarded to the best work across all categories. In addition, the regional competitions, Helsinki Smart City App Hack and Ultrahack each have their prizes! The partnering organizations in each of the categories have set specific topical challenges to inspire the participants. 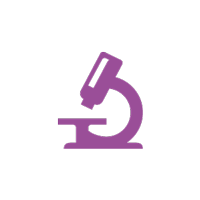 It is OK to participate with a work that does not respond directly to any of the challenges, but the partnering organizations have promised to support those participants that are working with their challenges. 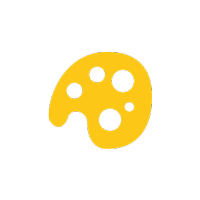 In ideal case the participating works can be developed further after the contest ends in collaboration with the challenge partners. What kind of applications would easy daily traveling – for example, commuting between the home and workplace? What benefits and motivation would the traveler have to give his/her own travel data for reuse by others? Crowdsourcing: How can a traveler produce and share public transport information for the benefit of others – and perhaps benefit her-/himself? Digitalization and services like MaaS: How can one combine the best of the available data resources to create something unique. The goal is to find a service, application or dataset, which helps persons with special accessibility needs (for example people using wheelchairs) to find important information like elevators, routes, cafes, restrooms, events, etc. The work can also be scoped towards promoting, for example, the tourism of a certain city or area, in accessibility. 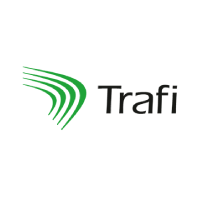 Various good traffic information has been available as open data for some time. This enables the realtime analysis of traffic – but until now, little has be done to predict the traffic fluency from the present onwards. 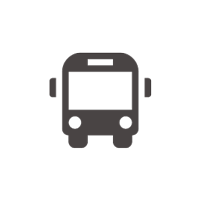 We are looking for services or concepts which use open data and predictive analytics to help the citizens travel. 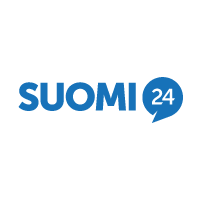 Suomi24 wants to combine location data to discussions – perhaps providing the possibility to easily search and find discussions relating to “special places” – home, summer cottage, favorite pub or the Eiffel tower. 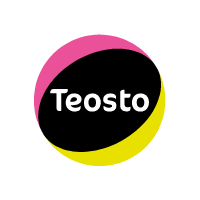 Teosto would like to find new ways to enrich the live music data Teosto has on concerts, performers and songs performed by combining data from various sources. Examples include mapping applications of the concert info, or combining existing data with e.g. genre data or other music metadata . 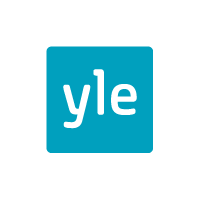 The National broadcasting company YLE has published its massive set of TV and VIDEO content. How could YOU improve YLE Areena’s wonderful collection of videos – perhaps make improved “Areenas” for special groups, like kids or techies? Create services that learn from the users? Curate targeted content? 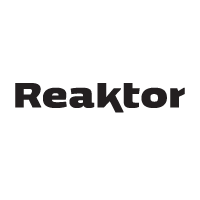 The Reaktor challenge is searching for materials or solutions that can be used in teaching programming in elementary schools! The competition entries may be for example solutions that help teachers in their work. 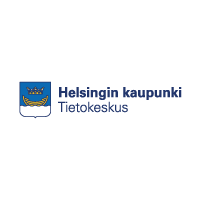 The FIN-CLARIN Kielipankki (Linguistic database) contains an immense amount of data from various types of publications. The challenge calls for services, apps, visualizations and ideas which utilize this data. 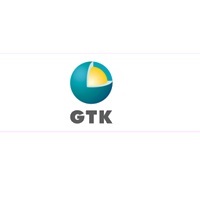 The Geological Institute of Finland GTK challenges to develop a service, app or idea, which activates individuals, communities or companies to collect and submit new findings. The goal is that the national geoinformatics database is enriched by the crowdsourced content. 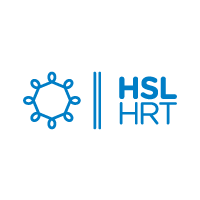 THL is looking for various types of applications that help compare or help understand wellbeing, nutrition, living habits and health in general. Applications could well be on a personal level – but we are also interested in tools that benefit the public sector, that visualize datasets – or perhaps provide gamelike experiences. 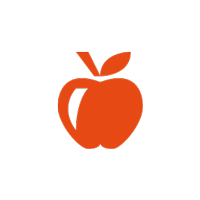 The food safety organization Evira is looking for new types of applications relating to food safety. 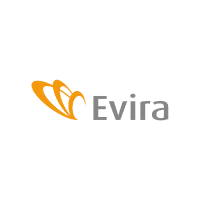 In particular, Evira is interested in the active role of the citizens/consumers. 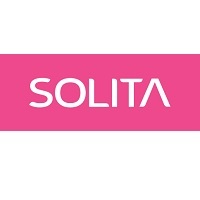 The competition entry may be a service, service concept or application that eases or simplifies the interaction between citizens/businesses with the government. At best, such services can even remove the need for interaction – or ease the workload on the citizen, business or government authorities. 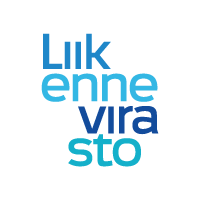 SMART CITY AND CITIZENS – WHAT’S HAPPENING IN HELSINKI – HOW CAN I TAKE PART IN IT? 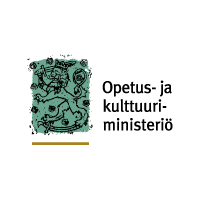 Opendata.fi harvests datasets from CKAN-based data catalogs. There are several OTHER web sites which contain open data but the data (or its metadata) is NOT available at Opendata.fi. 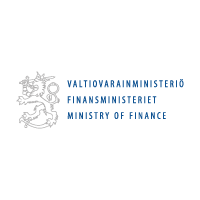 We are seeking for news ways and tools for open data integration between Finnish open data sources and avoindata.fi – so all developers benefit!